On 16 December 2015 I gave copies of the letter below, plus enclosures, to Jeremy Corbyn MP and Emily Thornberry MP. (I have embedded several links in the text to provide further information). The testimony of a former commander in the Free Syrian Army, based in Aleppo in August 2013, who avers that the events depicted in the BBC’s reports did not occur. 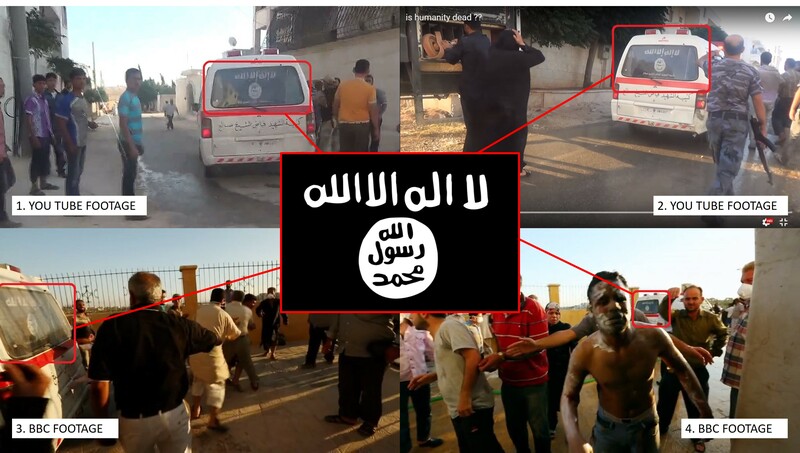 The identification of a 52 year old Netherlands resident who appears to have participated in scenes filmed on the day of the alleged attack in the guise of an incendiary bomb victim, alongside individuals also filmed by Darren Conway. The selective blocking by BBC Worldwide of all YouTube copies of ‘Saving Syria’s Children’, over and above other editions of Panorama. There is a great deal more, which I discuss in my blog https://bbcpanoramasavingsyriaschildren.wordpress.com/ which also contains my formal complaints correspondence with the BBC on this matter. 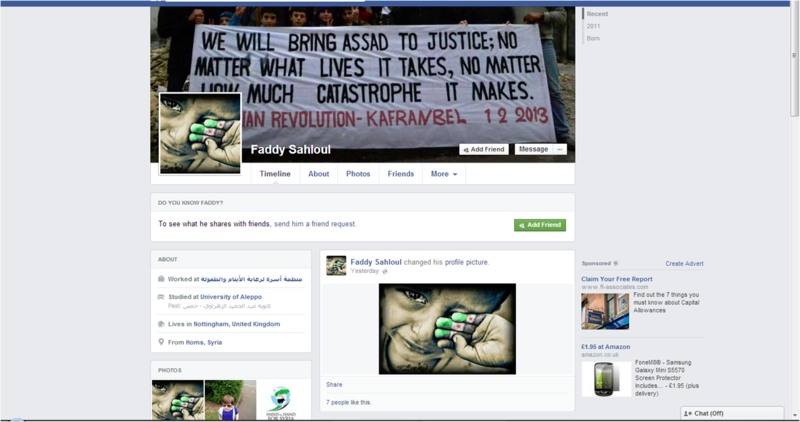 I believe a public investigation into ‘Saving Syria’s Children’ is needed. As it happens the motion for intervention was unexpectedly defeated by a narrow majority. If this had not happened the BBC’s footage would unquestionably have served as very timely and useful PR in support of the coming war against Assad. Ofcom’s recent finding against the RT report is discussed in a feature on the website OffGuardian (see 4th enclosure in this letter). I do not agree with the construction that both RT and OffGuardian put upon the editing of Dr. Rola Hallam’s words, however I endorse RT’s wider charge of fabrication in the BBC’s reports, a charge which the station stands resolutely by in the face of the Ofcom finding. The event at which Conway appeared to contradict Pannell was hosted by the Frontline Club, London. Video of the discussion is being withheld from the Frontline’s website, contrary to the organisation’s usual practice. 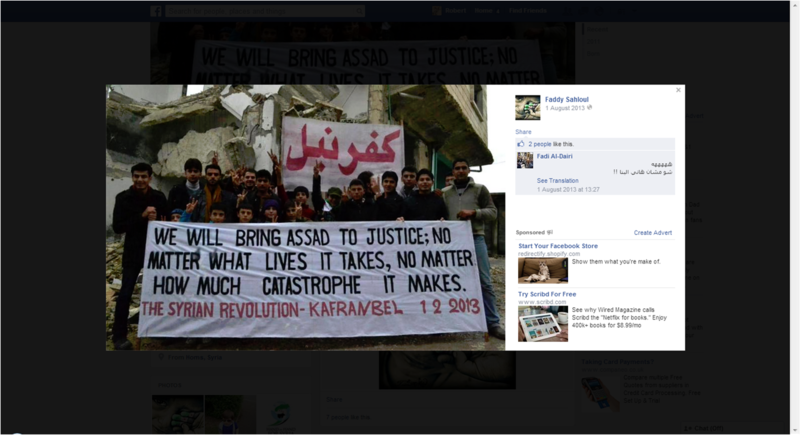 The image was “liked” on Facebook by Hand in Hand for Syria co-founder, executive team member and trustee, Fadi Al-Dairi. 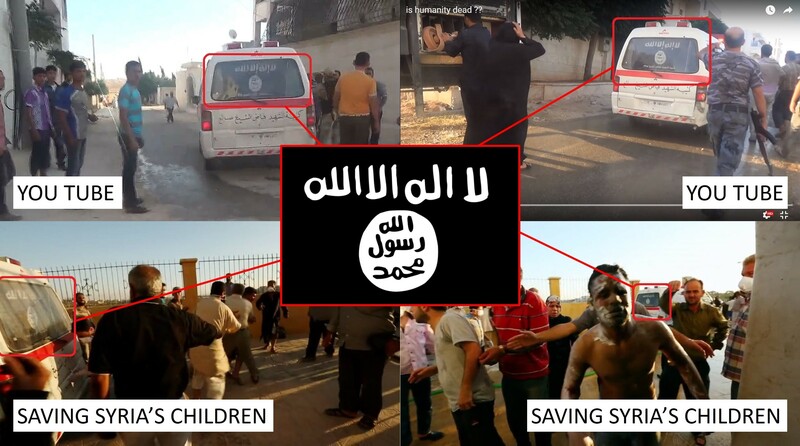 Photographs available on the internet depict a Hand in Hand for Syria nurse ostensibly treating the wounds of a child “rebel” fighter in an approving propaganda piece. 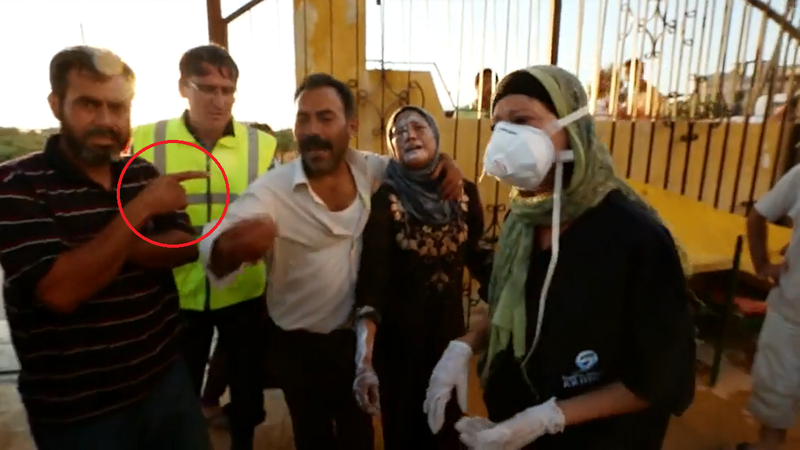 The same nurse was filmed by Darren Conway in ‘Saving Syria’s Children’. I am thrilled to share with you this news: CanDo, the first crowdfunding platform focusing on humanitarian aid, is now live at http://www.candoaction.org !! At CanDo we are working to transform health humanitarian aid in war-devastated communities by catalysing life-saving local humanitarians in Syria and by making it easier for everyone to be a humanitarian. As you know, millions of people in Syria are in urgent need of aid and resources but the current system does not provide support for the local aid workers. In fact the local humanitarians, who deliver 75% of humanitarian action, only receives 1% of funding. At CanDo we aim to change this by making it easy and straightforward for anyone in the world to play a role in helping save lives. We do this by connecting engaged citizens like you with local humanitarian organisations operating in communities impacted by war via our newly launched crowdfunding platform. I am excited to invite you to join our humanitarian movement. We believe that people are the next superpower and that together we can create a big impact. You can join by sharing this news with your loved ones and/or by directly becoming a humanitarian yourself and making a contribution. But most importantly, do let me know what you think about CanDo: This is our beta launch and any feedback is greatly appreciated. Let me know if you have any questions and I look forward to hearing from you.